Les Welding Tree Saw with Sprayer - MADE IN KANSAS! Tree Saw with Sprayer - Higher Speed & Torque, Cuts Hedge, Cedars, & Soft Woods like Cottonwood with Standard Flow Hydraulics, 15-21 gal/minute, 1/2" Blade, Double Bearing on Head. 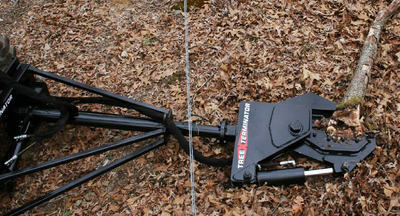 Rotating Model .......... $5900 - IN STOCK! Saw Teeth are Pengo Rock Auger Teeth -- VERY Tough & Long Lasting. 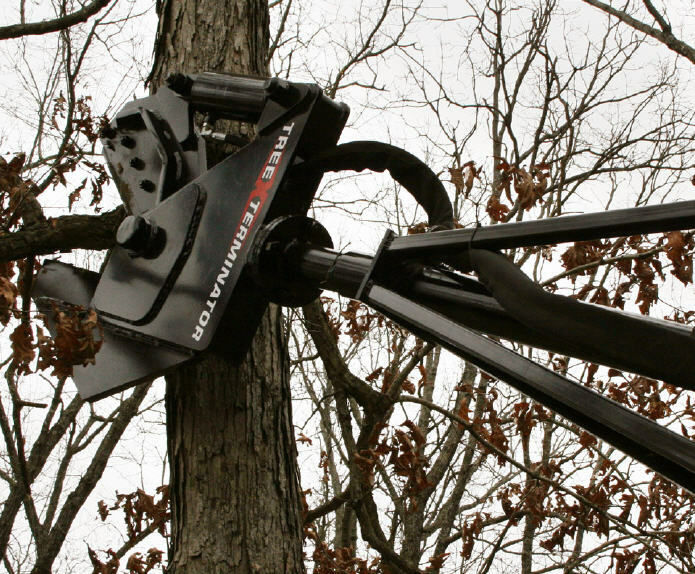 Will not snap off or bind up when you hit a rock like many of the other tree saw brands out there. Replacement Teeth are $14.00 each. There are only 10/blade. ​Click here to watch the shear at work! 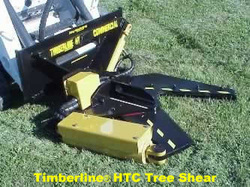 ​Cutting height of 14.5' that is capable of cutting up to 20" in diameter. 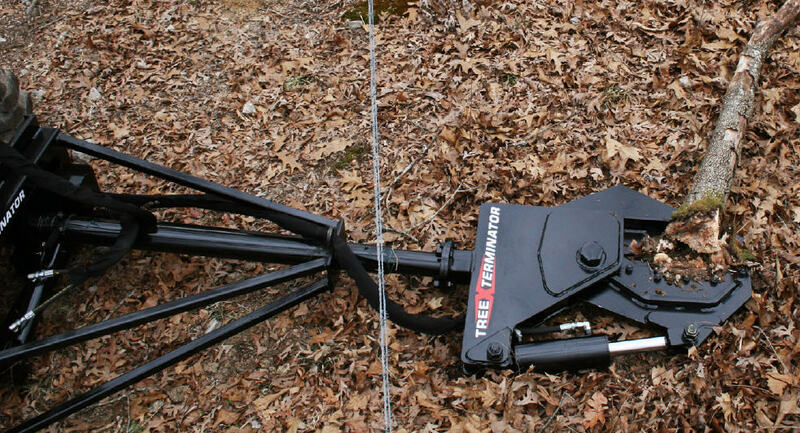 Factory harvester bar and chain system driven by hydraulics. 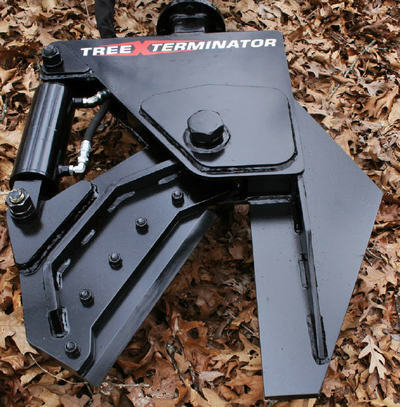 Easily and quickly attach to skid steer. Saw unit can also be mounted to tractor buckets. Click here to watch the shear at work!